Kaffy, Odunlade, Fathia Balogun and other celebrities join Pepsodent in a health walk to celebrate 2018 World Oral Health Day ~ Nigerian news platform bringing you News in Entertainment, Politics, Sports & Lifestyle. 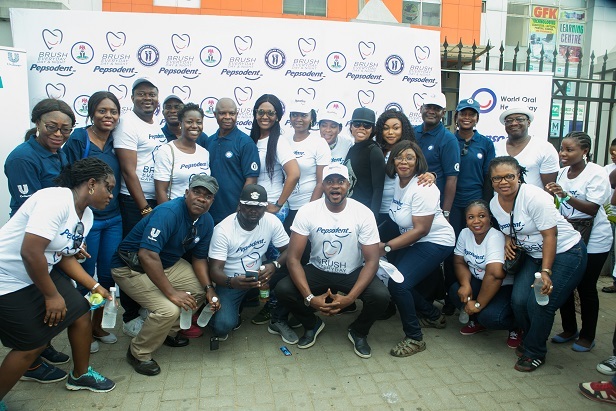 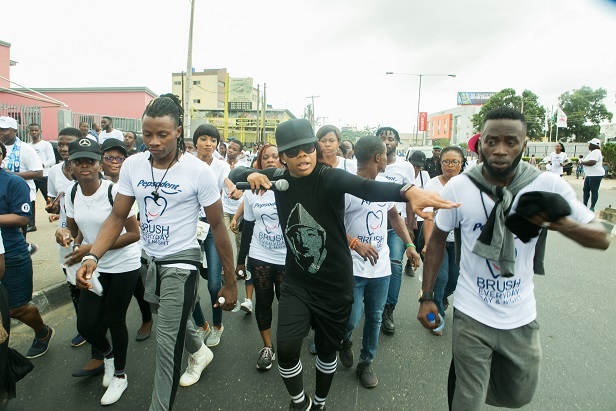 Professional dancer, Kaffy; popular actors, Odunlade Adekola, Fathia Balogun, Muyiwa Ademola, Ruth Kadiri and other notable personalities led the health walk for the 2018 World Oral Health Day Celebration, organised by Pepsodent. 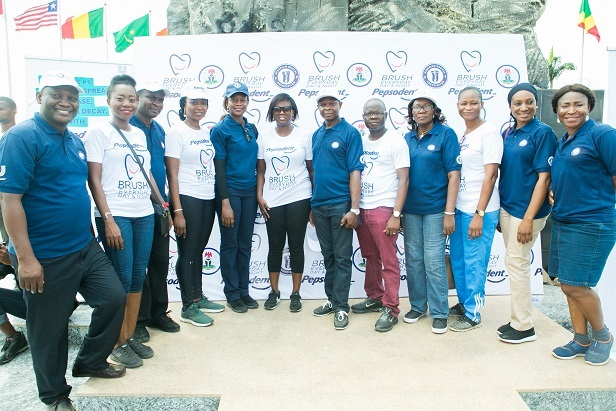 The health walk was organised by Pepsodent from Unilever Nigeria, in partnership with the Nigeria Dental Association to mark the 2018 World Oral Health Day. 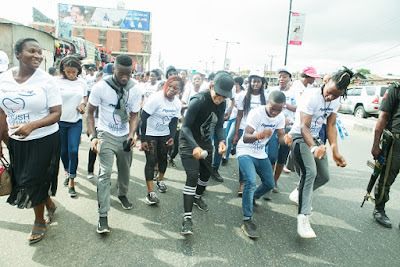 The event which took place on Friday, March 16, 2018 started at the Lagos State University Teaching Hospital (LASUTH), Ikeja, after a warm up session with Kaffy, and ended in Johnson Jakande Tinubu Park, Alausa, Ikeja. 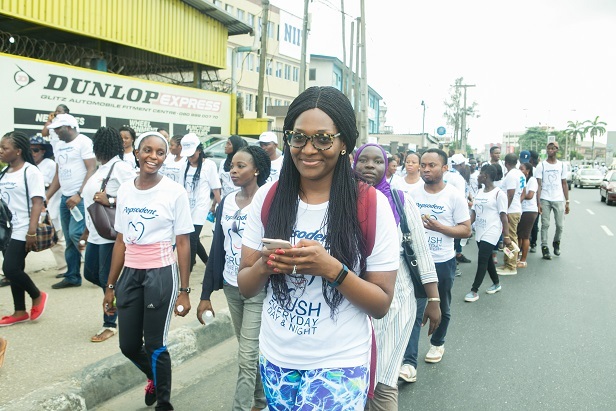 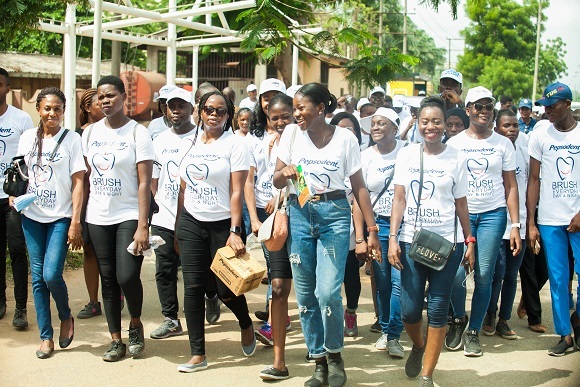 The health walk had a massive turn out from health professionals; dentists, dental students, nurses, Unilever employees, banks, undergraduates, and key influencers like Shredder Gang and August Secrets.ng, who shared in Pepsodent vision of eradicating oral diseases in Nigeria and promoting good oral hygiene. 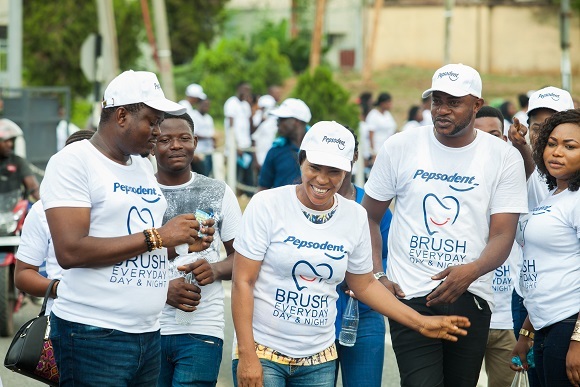 Free dental checks, free Pepsodent toothpaste, and oral health educational materials were given to passers-by during the walk. 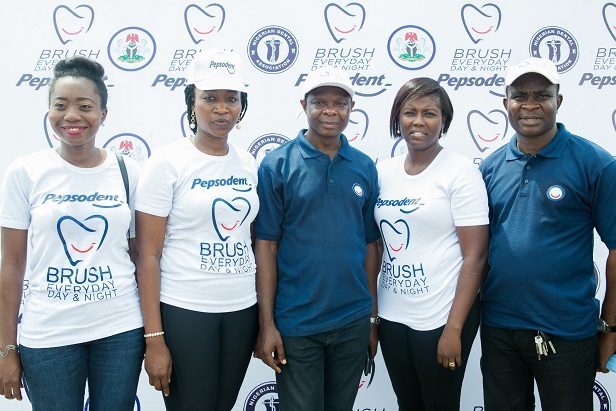 Speaking at the event, Toluwaleke Salu, category manager, oral care, Unilever Nigeria said, “Tooth decay is a global widespread disease which affects 3 out of 5 children, and almost all adults. This disease can be prevented via good oral hygiene practices. 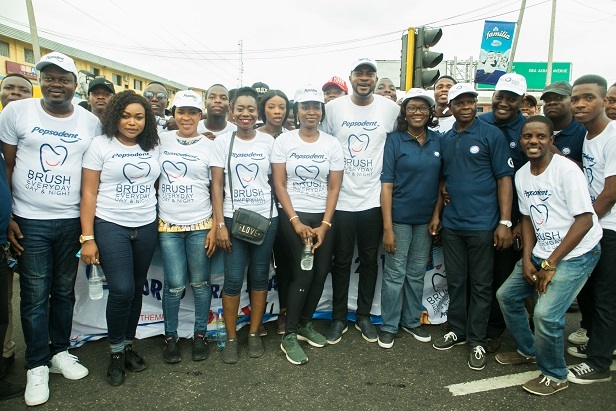 This health walk is part of Unilever Nigeria continuous effort to fight oral diseases in Nigeria, and promote good oral hygiene. 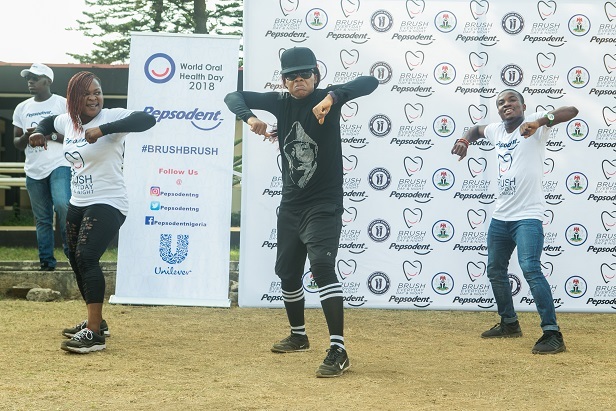 “Pepsodent consistently advocates the need for Nigerians to imbibe the culture of brushing twice daily by using a fluoride toothpaste. 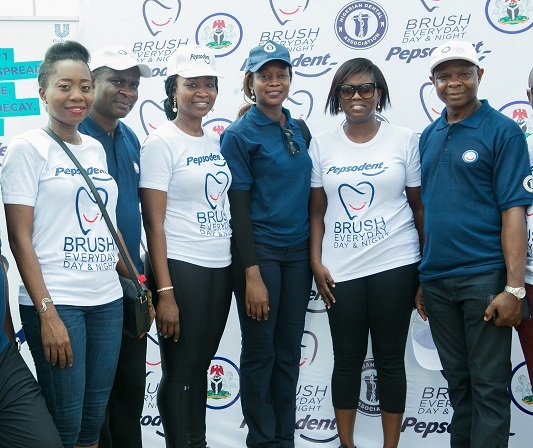 We remain committed to improving the oral health of 10 million Nigerian children by 2020, through the Pepsodent ‘brush day and night’ Schools Program, where we educate kids on the importance of brushing twice a day (morning and night),” Salu concluded. 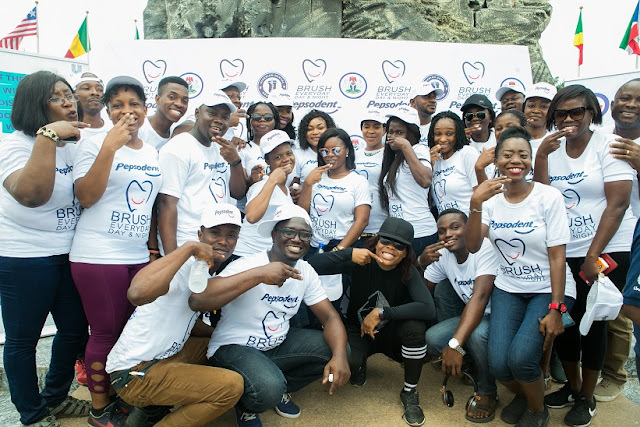 Themed ‘Say Ahh: Think Mouth, Think Health’, the 2018 World Oral Health Day (WOHD) celebration will take place on Tuesday, March 20, 2018 at The Arcade, Eko Club, Surulere, Lagos.